Notice how much scrolling you have to do? It's because there is a big lack of categorization and not only that, items "shows twice". This clutters the store even more. Another thing that makes MTX miserable is a lack of previewing, especially in-game. The prices are also very bad, where old armour like seraph from 2013 is about the same price as new armour today in much better quality. I hope GGG sees this because if MTX are supposed to be the money maker for them then at least make acquiring them not this tedious. 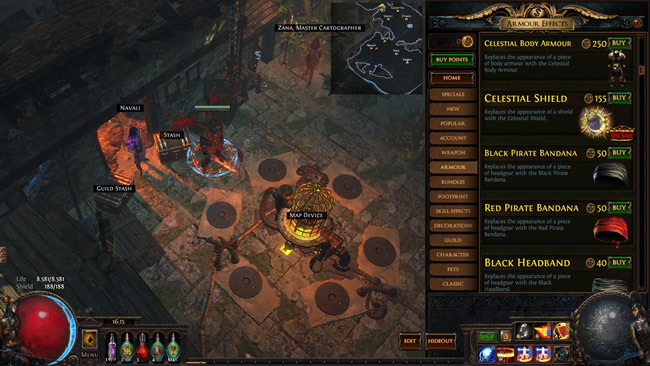 Just a remind, don't forget to from U4gm.com to poe currency trade, which is the best choice for poe orbs services on the market!